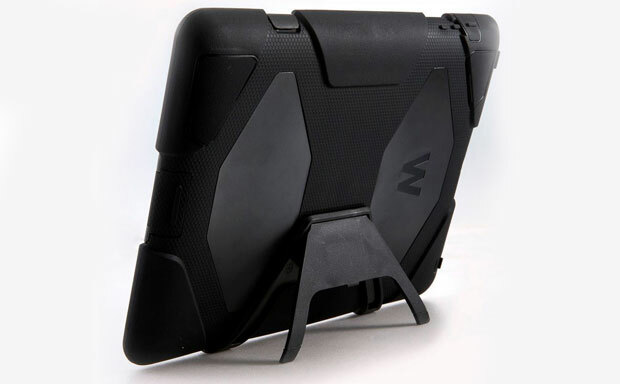 Looking for an ultimate protection for your tablet, but don’t want to sacrifice functionality? 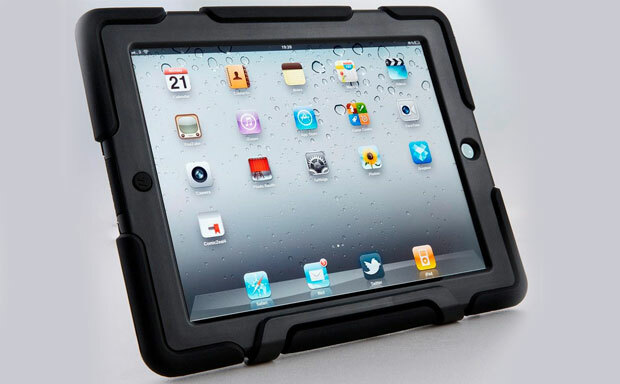 Check out the HardBody from Slappa – a rugged tablet case designed to fit and protect the iPad 2 and later generations. The case is tested and certified under MIL-STD-810 US Department of Defense and Def-Stan 00-35 UK Department of Defense standards. The iPad 4 case offers an all-round impact and shock protection thanks to its shatter-resistant polycarbonate frame built-into the shock-absorbing silicone. An integrated screen protector completes the all-round protection inside the Slappa HardBody without obstructing access to the display’s functionality. The iPad 3 case comes with hinged plugs, which cover the dock connector, camera lens, hold switch, volume controls, and headphone port when they are not in use. The new Slappa tablet case also features an integrated stand offering several convenient viewing angles.